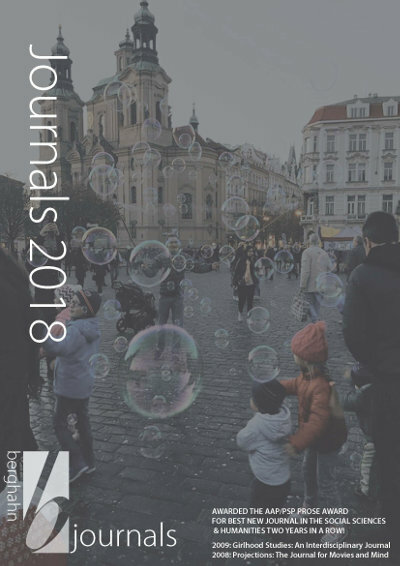 Visit the Berghahn Journals online platform here! Berghahn Journals is the journals division of Berghahn Books, an independent scholarly publisher in the humanities and social sciences. 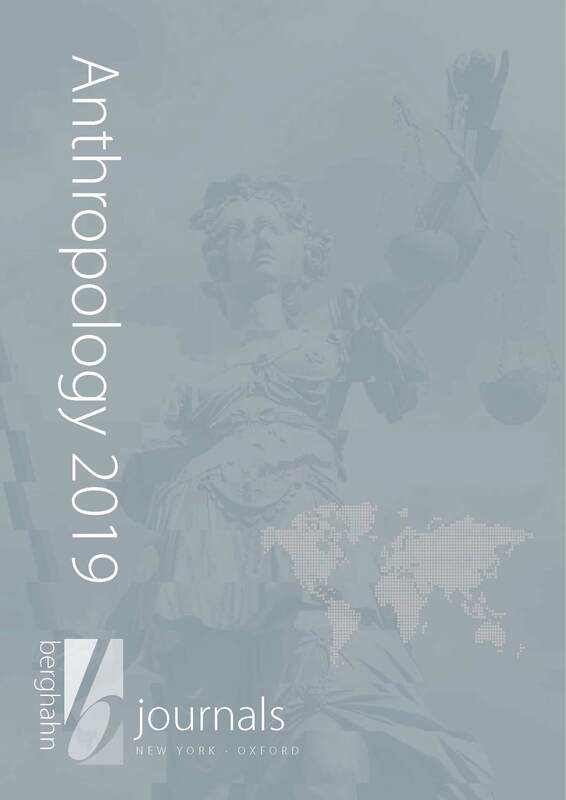 A peer-review press, Berghahn is committed to the highest academic standards and seeks to enable innovative contributions to the scholarship in its fields of specialty. The latest Environment and Society featured article is now available! This month’s article—”Shared Meals and Food Fights: Geographical Indications, Rural Development, and the Environment”—comes from Volume 2 (2011). In their article, Fabio Parasecoli and Aya Tasaki highlight relevant issues within the global debate on geographical indications as they relate to food products, and they explore the environmental impact of geographical indications and their potential in ensuring the livelihood of rural communities in emerging economies and promoting sustainable agricultural models. Visit the featured article page to download your copy of the article today before it’s gone! A new article is featured every month. The first Appellation d’Origine Contrôlée (AOC) was Côtes du Rhône, approved in 1937, for the Rhône wine region. Each wine-producing area was entitled to create rules to discipline its viticulture (grape varieties that could be used, their proportion in the allowed blends, the aging methods, and so on), within general guidelines imposed by the central authority (photograph by Megan Cole via Flickr, CC BY 2.0). FABIO PARASECOLI is a professor in the Department of Nutrition and Food Studies at New York University. His research focuses on the intersections among food, media, and politics. His most recent projects focus on food design and the synergies between food studies and design. After covering Middle and Far Eastern political issues, he wrote for many years as the US correspondent for Gambero Rosso, Italy’s authoritative food and wine magazine. Recent books include Bite Me! Food in Popular Culture (2008), the six-volume Cultural History of Food (2012, coedited with Peter Scholliers), Al Dente: A History of Food in Italy (2014), Feasting Our Eyes: Food, Film, and Cultural Citizenship in the US (2016, with Laura Lindenfeld), and Knowing Where It Comes From: Labeling Traditional Foods to Compete in a Global Market (2017). AYA TASAKI is a queer immigrant activist and native of Japan with bicultural roots. She earned her MA in international affairs from The New School. Her thesis focused on US immigration policies, inspired by the work she does with the Audre Lorde Project surrounding the queer people of color community. She has contributed to the Kathmandu Post and Y! Magazine while doing research on migrants in Nepal. Maddalena Gretel Cammelli interviews Jonathan Friedman on his new book, PC Worlds. A version of this interview has also been published in Italian on Il Lavoro Culturale. Substantially, in your argument, PC is a phenomenon peculiar to this historical moment, a specific communicative frame, a symptom of the contemporary hegemonic crisis, and thus an element of the process of the establishment and maintenance of new global elites. Now, your argument is totally embedded in your anthropology of global systems. In order to make this more accessible to people who are not familiar with it, I would like to ask you to give a summary explanation of what you mean with the “anthropology of global systems.” What characterizes this approach to the analysis of social phenomena? JF: The anthropology of global systems began in the mid 1970s with a growing recognition that the then dominant model of social explanation, in which the only relevant factors were internal to the society, was wrong. This mistaken idea was based on evolutionary anthropology, functionalism, and structural functionalism, which assumed that society is a self-organizing and self-reproducing organism that could be understood in terms of its own internal elements. Even Marxism foundered on such assumptions. The contrary hypothesis that was developed, first by Kajsa Ekholm Friedman, was that all societies are embedded in larger systems of relations so that there is always a crucial distinction between the social order and the larger social system of which it is a part. This was further developed in a model of social reproduction in which the cycles of reproduction were historically larger than that of the society itself. The evolutionary record was reconsidered: so-called primitive societies that were used to illustrate a Stone Age existence prior to civilization were argued to be by and large products of the marginalization occurring in imperial systems. Where more isolated societies could be found the question was how did they become isolated, and this often had to do with larger scale predatory relations that drove populations into safer zones, or even the collapse of larger systems. Archaeology has since confirmed much of this reconceptualizing of the older neo-evolutionary schema. Much of the Paleolithic and Neolithic was constituted by regional systems of trade and warfare, as well as cycles of expansion and collapse/decline. The formation of early civilization was the formation of larger imperial orders. Mesopotamia did not develop its great civilization solely as the result of its own agricultural surplus. The stone for its temples as well as the tin and copper for its bronze were all imported. And it is increasingly clear today that there was even capitalism, often quite elaborate, in these early civilizations. The nature of such systems with the advent of the first civilizations is strikingly similar to those of the modern world. Commercial structures, slavery, wages, capital accumulation, and class structures are commonplace and even dominant in world history. A crucial aspect of this is that such systems have a specific dynamic of expansion and contraction that follow cyclical patterns that include accumulation of wealth in centers followed by the movement out of wealth into other, often peripheral zones, the decline of the centers, and the rise of new centers financed by the older centers via the export of wealth (capital). This longue durée of civilizational cycles is accompanied by major sociocultural transformations. MGC: At the foundation of systemic analysis, there is a reflection concerning the cycles of history. What do you mean by “hegemonic decline”? Who exercises hegemony over whom? And how do you define the word “hegemony” (for instance, in relationship to the well-known definition of Gramsci)? JF: Hegemony refers in this analysis to political economic centrality and power over a larger region that is organized into center/periphery and semi-periphery. The latter are not fixed categories but emergent forms, e.g., peripheries are the result of peripheralization, a complex of unequal exchange and colonial exploitation. This is not the hegemony of class but of region and is thus not similar to Gramsci’s notion. Hegemony can take the form of the exploitation of the resources of a larger region and the economic subjection of that region. It can also combine the economic with the political control of that larger region. There are a great many variations here, from formal empire to informal imperial structures. Hegemonic decline refers to the loss of hegemony that in global systemic terms results from the decentralization of the accumulation of wealth and eventually power in relation to the larger system, leading to increasing competition, crisis, violence, and ultimately the shift to another or other emergent hegemonic centers. The current shift of hegemony from Western Europe and the US to East and South Asia is an example of this phenomenon. MGC: In the book, you use often the word “ideological inversion.” What do you mean? This shift is one in which the notion of the progressive has changed substantially. The contemporary left stands for the global, the individual—for liberalism and multiculturalism and even the postnational, i.e., a world which in fact is closer to the ideology of neoliberalism. A major shift here is the shift from class to culture as the heart of struggle. The working class, or what is left of it, is now considered to be reactionary and racist and it is the new bourgeoisie, the “latte left,” that bears the revolutionary struggle. But of course there is no revolutionary struggle; the latte left is the defender of the status quo. MGC: Now: what then is the relationship between the contemporary phase of hegemonic decline and the spread of the communicative frame of Political Correctness? JF: PC as I have often insisted upon is a general phenomenon in which social control is achieved by using associative thinking to divide the world into that which can and which cannot be said. It emerges in periods of instability in which there is a fear of saying the wrong thing which is often associated with a sense of shame. Shaming is the primary instrument of PC. It can be used in many situations and is not in itself about a particular political issue, although I have been accused of precisely that. That is, it is not in itself about multiculturalism versus fascism as some are inclined to think. On the contrary, it can be used in quite contrary situations. As a contemporary phenomenon, I have linked it to a situation of hegemonic decline which itself is a period in which there is a rising cosmopolitan elite in a situation of increasing class polarization. The latter attempts to enforce its power, which is fragile: because not really established and accepted—by invoking an image of the world that supports their anti- or postnational liberal identity; by a need to attack those who are losing their social security and complaining about both the direction of society and the fact that they are totally ignored; by categorizing them as representatives of evil, i.e., racism, nationalism, fascism. By transforming cosmopolitan identity into a general ideology, they create an entire language for describing the world that needs to be enforced in a situation where not all people agree, to say the least. PC is a way of avoiding open rational argument by morally declassifying the enemy. The main property of PC is its rampant associationism. This is a form of communication that is typical in situations in which the individual self is considerably weakened, where narcissism becomes dominant, so that the subject is increasingly dependent on what is called the “gaze of the other” in order to survive psychologically. It is in such situations that control by means of associationism can work. MGC: Your book provoked a debate in Italy since it has been published in a moment when the political actuality of your analysis of PC is stark. Meanwhile, the critical alternatives that you offer are thin. Your vision has itself sometimes been labeled as feeding a form of “fascism and racism.” Now, the public debate in Italy, as you know, has seen a proliferation of questions related to the meaning of fascism today and to the actuality of concrete forms of racism. JF: The book deals precisely with the way in which accusations of fascism have proliferated and the way, for example, a critical stance on immigration politics can be recategorized as either racism or fascism—or even Nazism. So let me be absolutely clear about this failure of thought. To be critical of the current situation of mass immigration has nothing to do with fascism as such; otherwise, blacks in the US who have been critical of immigration for years are fascists. Fascism is a more sophisticated ideology than that. I try in the book to analyze the actual processes by which this categorization occurs. If I am critical to immigration policy, then I am critical to immigrants, and I am therefore a racist, since immigrants come from other cultures, and if fascists are racists, then racists are also fascists. In this categorization of the world, liberals are by definition progressive. This is what has led, on the other side, to Fox News calling the New York Times a communist newspaper, and [former US President Barack] Obama and [George] Soros are celebrated as “progressive,” even revolutionary. It is interesting to consider what has happened when mild forms of PC have failed. Specifically, it is even interesting to explore the arguments behind Russian influence in national elections, where [US President Donald] Trump won over Hilary Clinton, the collusion with [Russian President Vladimir] Putin, etc. The assumptions there are that companies such as Cambridge Analytica can change the course of election by spreading fake news, that people are totally manipulated by media. Thus, populism is nothing but the manipulation of people by the forces of evil whose aim is to topple democracy. While it is not necessary to discuss the way the US financed [former Russian President Boris] Yeltsin in Russia and has always attempted to use propaganda to change the direction of politics in other countries, it should be obvious that the hysteria over Trump’s victory from the Democratic Party has all the makings of a magical form of PC gone wild. MGC: Is there a relationship between the emergence and the spread of PC and the contemporary spread of actual racism, both in rhetoric and practice? Can you say that the diffusion and the use of a specific “moral regime” has triggered the irritability around the concrete difficulties of living in a multicultural society in decline? JF: In my earlier work on the relation between declining hegemony, crises, migration, and ethnicization, I discussed the links between what I referred to as double polarization and the phenomena of increasing ethnic conflict and “racism.” Double polarization refers to the simultaneous fragmentation of the national that was dependent on a strong modernist identity and ideology that disintegrated in the ’80s leading to the emergence of subnational cultural identities, i.e., a horizontal polarization, and a vertical polarization as a segment of the population became upwardly mobile and identified increasingly with cosmopolitan liberalism, while the declining working and lower classes became increasingly nationalist and populist. Racism, I would claim, is quite generalized in a period of fragmentation and is not reducible to the older phenomenon of white or even Aryan supremacy, even if the new elites make such claims. The current fear of populism is more like a resurrection of the notion of les classes dangereuses, now defined as the “antidemocratic” masses. MGC: What is the relationship between the new elite, PC, and the phenomenon of mass migration? In your research, you make a comparative analysis between the contemporary hegemonic crisis with other examples of hegemonic crisis in the history of humanity: in which way can the historical comparison enrich the analysis? JF: This is a big question. There are many examples of declining hegemony and mass migration in history. The relation between the two is that in periods of declining hegemony, there is a general disintegration of hierarchical imperial orders leading to a proliferation of competing powers in a fragmenting world, increasing conflict, warfare, economic crisis, and thus migration (i.e., flight or abandonment). Consider what was often referred to as barbarian invasions in the ancient world from the final crisis of the Bronze Age in the 12th century BC, to the Hellenistic crises of the last centuries before the rise of the Roman hegemony, and the decline of the Roman Empire itself. In all of these, the so-called barbarians were formerly integrated populations of the “peripheries” who were affected in major ways by the decline of imperial order, often moving on weakened imperial centers. MGC: You have been called a fascist and a racist, as happened to your wife, Kajsa Ekholm-Friedman. I want you to explain this clearly: how do you place yourself? For instance, in your book you narrate that Anders Breivik cited your work. What do you think about this? Do we need to be “fascist” in order to criticize the “left” and the management of migration and immigration policies? JF: I am not surprised by your question, since this is exactly what PC is all about, and it expresses very well the nature of the ideological crisis faced by a new elite and those who identify with it. Breivik cited me a couple of times primarily in relation to the nature of immigration today, as I recall (in the language of PC worlds, if I am cited by Breivik this must make me a fascist). The formation, especially with respect to Islamic immigration, of a diasporic culture opposed to the Western values system, is not my invention. I cite, not least, the work of Bassem Tibi, who has been writing about this issue for several decades with respect to Germany. The formation of parallel societies within the nation-state is not simply the first phase of integration. Integration occurs in periods of growth. In periods of decline migration, leads to the formation of segregated populations, and in the case of Muslims, who are a large percentage of immigrants in Europe, it enables alternative ideologies and cultural forms, creating conditions for conflict. Islam, if not all versions of it, is well suited to this situation given its world historical self-definition in relation to the West. This should not be shocking to anyone. There are no Buddhist terrorists in Europe, nor Hindu terrorists, nor Latino terrorists. The situation is complex, of course, but there are clear tendencies involved. Some years ago (2001), I wrote an article on Islamic terrorism in which I criticized the left-liberal position common after 9/11 that it was all our fault. [Noam] Chomsky and in Scandinavia especially Johan Galtung claimed that Al-Qaeda represented the reaction of the world’s poor against Western power. This was basically to say that Islamists were merely extensions of our own will, i.e., that they had no intentionality of their own, a typical colonial understanding of the “other.” My argument was that there were autonomous strategies involved in many Muslim communities, which is not, of course, to say that all Muslims think the same way. All Germans were not Nazis, and not all Italians were fascists. The sociological structures concern the way in which certain ideologies are implemented and can become dominant, not least because they resonate with a powerful cultural schema. This is simply the way cultural identity works. To call it Islamophobia or fascism is to say simply “I don’t like that” or “I find it dangerous” which is to say “I would rather not discuss it.” It is more important to find out what is actually happening rather than being surprised by what should have been obvious. The notion that immigration is inherently positive is simply absurd, for those who would have rather stayed at home as well for the host populations. At least it should be worth discussing critically. As I take up in the book, referred to above, being against immigration is neither left nor right, as evidenced by polls of blacks in the US and of the explicit position of, for example, the French communist party in the 1970s. The fact that the Swedish “father” of social democracy was an admirer of Mussolini should not seem strange for anyone who knows about the history of socialism. The critique of PC is not a solution to problems but an opening to confronting such problems with our eyes open (see Furedi 2018). Maddalena Gretel Cammelli is a Research Fellow at the University of Bologna. She works on fascism and neofascist political culture in contemporary Italy. Her latest publication is “Fascism as a style of life: Community life and violence in a neofascist movement in Italy” in Focaal – Journal of Global and Historical Anthropology (2017). Friedman, Jonathan. 2001. “Impaired empire.” Anthropological Quarterly 75 (1): 95–104. https://doi.org/10.1353/anq.2002.0009. Furedi, Frank. 2018. “Why the people must be sovereign.” Spiked, 2 March. http://www.spiked-online.com/newsite/article/why-the-people-ought-to-be-sovereign/21171#.WvnnYqkh3OY. Cite as: Cammelli, Maddalena Gretel. 2018. “PC Worlds: Political Correctness and Rising Elites at the End of Hegemony.” FocaalBlog, 17 May. www.focaalblog.com/2018/05/17/maddalena-gretel-cammelli-and-jonathan-friedman-pc-worlds-political-correctness-and-rising-elites-at-the-end-of-hegemony. 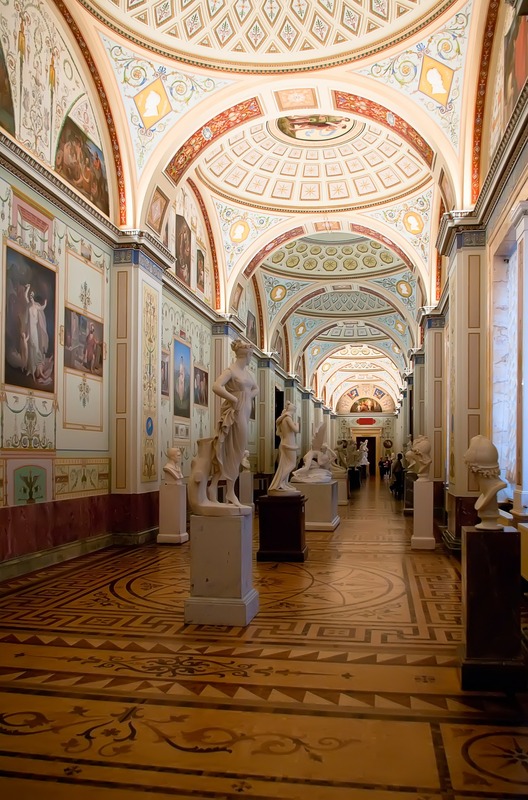 The worldwide community of museums celebrates International Museum Day on and around 18 May each year. This day is an occasion to raise awareness on how important museums are in the enrichment of cultures, development of society, and cooperation and peace among people. For more information on the theme and calendar of events for this year’s observance, visit the International Council of Museums webpage. To join the celebration, we’re offering a 25% discount on all Museum Studies titles for a limited time. Just visit our webpage and enter code IMD18 at checkout. Available soon, the forthcoming table of contents features an introductory chapter by Museum and Heritage Studies expert and sociologist Tony Bennett. 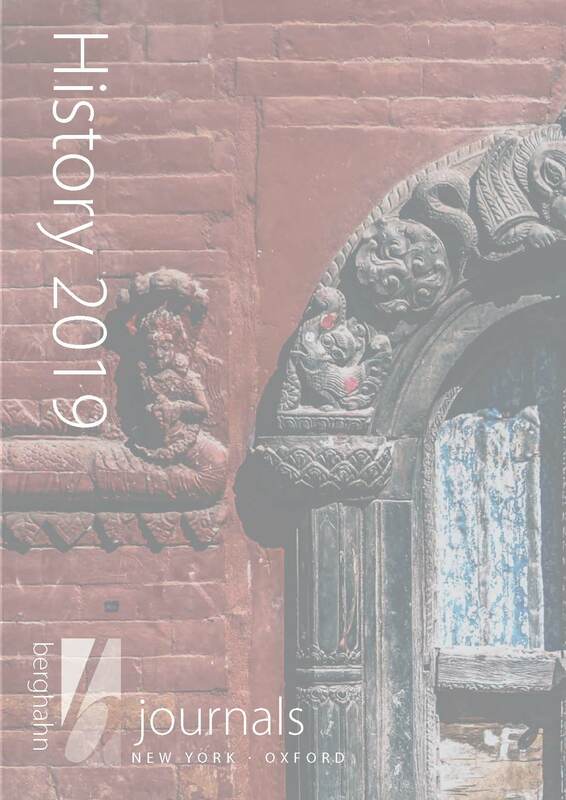 Berghahn Journals is offering free access to a selection of articles until May 25 as part of the International Museum Day Virtual Issue! This meticulous, insightful book draws striking connections between both spheres, which play similar roles by housing objects and generating social narratives. 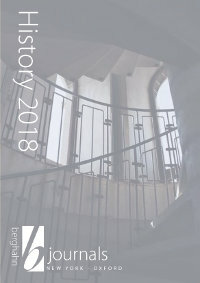 Through fascinating explorations of the museums and domestic spaces of eight representative Israeli communities—Chabad, Moroccan, Iraqi, Ethiopian, Russian, Religious-Zionist, Christian Arab, and Muslim Arab—it gives a powerful account of museums’ role in state formation, proposing a new approach to collecting and categorizing particularly well-suited to societies in conflict. This volume brings together leading anthropologists, archaeologists, art historians and other scholars into an interdisciplinary dialogue with Art and Agency, generating a timely re-engagement with the themes, issues and arguments at the heart of Gell’s work, which remains salient, and controversial, in the social sciences and humanities. . This book argues that the transformations concern more than words alone: They reflect fundamental changes in the way we experience the past, and the way historical objects are assigned meaning and value in the present. This book presents a series of cases from Norwegian culture to explore how historical objects and sites have changed in meaning over time. It contributes to the contemporary debates over collective memory and cultural heritage as well to our knowledge about early modern antiquarianism. By exploring the processes of collecting, which challenge the bounds of normally acceptable practice, this book debates the practice of collecting ‘difficult’ objects, from a historical and contemporary perspective; and discusses the acquisition of objects related to war and genocide, and those purchased from the internet, as well as considering human remains, mass produced objects and illicitly traded antiquities. Presenting case studies from across the globe, particularly from Africa and Asia, anthropologists with situated expertise in specific World Heritage sites explore the consequences of the World Heritage framework and the global spread of the UNESCO heritage regime. This book shows how local and national circumstances interact with the global institutional framework in complex and unexpected ways. Often, the communities around World Heritage sites are constrained by these heritage regimes rather than empowered by them. Museum collections are increasingly being recognized as material archives of human creativity and as invaluable resources for interdisciplinary research. Museums provide powerful forums for the expression of ideas and are central to the production of public culture: they may inspire the imagination, generate heated emotions and express conflicting values in their material form and histories. This series explores the potential of museum collections to transform our knowledge of the world, and for exhibitions to influence the way in which we view and inhabit that world. It offers essential reading for those involved in all aspects of the museum sphere: curators, researchers, collectors, students and the visiting public. With a focus on Holocaust museums, this study scrutinizes for the first time the new global phenomenon of the “musealization” of the witness to history, exploring the processes, prerequisites, and consequences of the transformation of video testimonies into exhibits. Visitors to the House of Memory is an intimate exploration of how young Berliners experience the Museum. This volume offers a holistic picture of museum online activities that can serve as a starting point for cross-disciplinary discussion. It is a resource for museum staff, students, designers, and researchers working at the intersection of cultural institutions and digital technologies. This book presents a useful methodology for examining museum images and provides a critical analysis of the role historical museums play in the contemporary world. This book investigates how museums exhibit Europe. This book explores how such struggles unfold in practice at a highly symbolic battlefield site in the Danish/German borderland. For a full list of titles in the series please visit the webpage. We are delighted to inform you that we will be present at the Latin American Studies Association Conference in Barcelona, Spain, May 23-26, 2018. Please stop by our table to browse the latest selection of books at discounted prices & pick up some free journal samples. 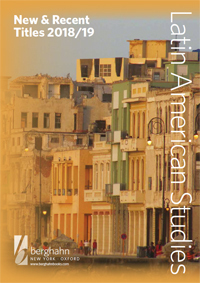 Visit our website­ to browse our newly published interactive online Latin American Studies Catalog or use the new enhanced subject searching features­ for a complete listing of all published and forthcoming titles. The journal of the Consortium for Comparative Research on Regional Integration and Social Cohesion (RISC). Interdisciplinary in nature and multilingual in character (English, French, Spanish), Regions and Cohesion promotes the comparative examination of the human and environmental impacts of various aspects of regional integration across geographic areas, time periods, and policy arenas. Contention is dedicated to research on and about social protest and political behavior. 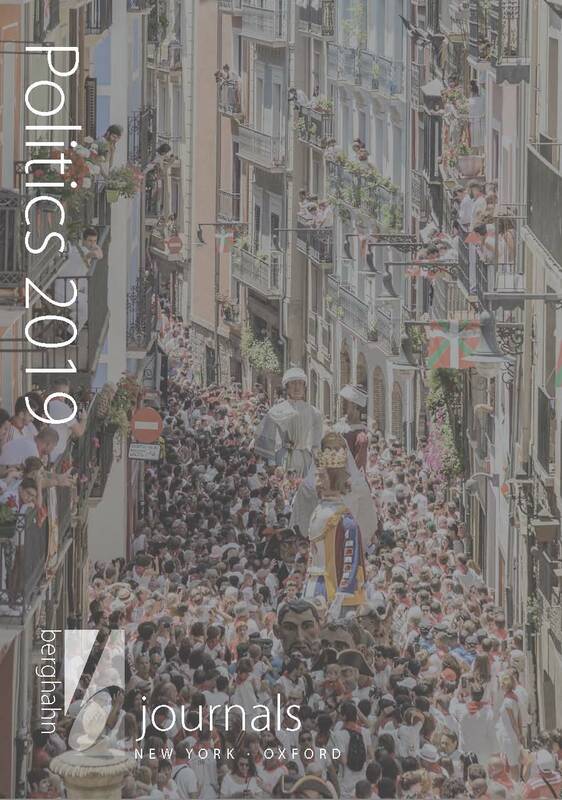 The journal advances essential knowledge of a comprehensive range of collective actions, social movements, and other forms of political and social contention. Democratic Theory encourages philosophical and interdisciplinary contributions that critically explore democratic theory-in all its forms. Transfers is a peer-reviewed journal publishing cutting-edge research on the processes, structures, and consequences of the movement of people, resources, and commodities. Celebrated yearly on April 18th, the International Day for Monuments and Sites encourages local communities and individuals throughout the world to consider the importance of cultural heritage to their lives and to promote awareness of its diversity and vulnerability and the efforts required to protect and conserve it. Sharing stories through heritage sites is a way to transfer knowledge between generations which is a crucial step in cultural development, characterizing the human experience since time immemorial. In joining the celebration Berghahn is pleased to offer 25% discount, valid for next 30 days, on relevant History & Museum Studies titles. At checkout, simply enter the code IDMS18. Since unification, eastern Germany has witnessed a rapidly changing memorial landscape. Memorializing the GDR provides the first in-depth study of this key topic, investigating the individuals and groups involved in the creation or destruction of memorials while addressing the subject’s complex aesthetic, political, and historical dimensions. There is a World Heritage Craze in China. China claims to have the longest continuous civilization in the world and is seeking recognition from UNESCO. This book explores three dimensions of the UNESCO World Heritage initiative with particular relevance for China: the universal agenda, the national practices, and the local responses. With a sociological lens, this book offers comprehensive insights into World Heritage, as well as China’s deep social, cultural, and political structures. Through fascinating explorations of the museums and domestic spaces of eight representative Israeli communities—Chabad, Moroccan, Iraqi, Ethiopian, Russian, Religious-Zionist, Christian Arab, and Muslim Arab—it gives a powerful account of museums’ role in state formation, proposing a new approach to collecting and categorizing particularly well-suited to societies in conflict. While positioning itself as a creative center populated by young and cosmopolitan global citizens, the “New Berlin” is at the same time a rich site of historical memory, defined inescapably by its past even as it articulates German and European hopes for the future. Cultural Topographies of the New Berlin presents a fascinating cross-section of life in Germany’s largest city, revealing the complex ways in which globalization, ethnicity, economics, memory, and national identity inflect how its urban spaces are inhabited and depicted. What does it mean when runic stones or medieval churches are transformed from antiquities to monuments to heritage sites? This book argues that the transformations concern more than words alone: They reflect fundamental changes in the way we experience the past, and the way historical objects are assigned meaning and value in the present. Since the Republic of Cyprus joined the European Union in 2004, heritage-making and Europeanization are becoming intertwined in Greek-Cypriot society. The author argues that heritage emerges as an increasingly standardized economic resource — a “European product” — and that heritage policy has become infused with transnational market regulations and neoliberal property regimes. As houses of memory and sources of information about the world, museums function as a dynamic interface between past, present and future. This series explores the potential of museum collections to transform our knowledge of the world, and for exhibitions to influence the way in which we view and inhabit that world. It offers essential reading for those involved in all aspects of the museum sphere: curators, researchers, collectors, students and the visiting public. For a full selection of titles in the series please visit series webpage. In recognition of the ICOMOS International Day For Monuments and Sites, established by the 22nd UNESCO General Conference as April 18, Berghahn Journals would like to offer free access to the following articles until April 25! 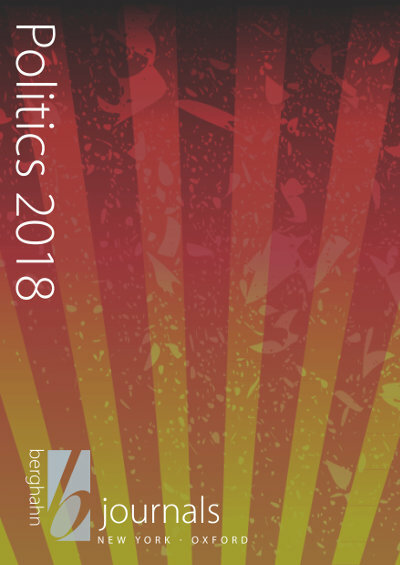 Libraries may purchase at a special discount (with the option to purchase the backfiles in addition) the entire Berghahn collection or Berghahn journals bundled by subjects. Berghahn Journals is pleased to announce the launch of our new journals online platform starting April 1. We will be working with all subscribers to make the transition process as seamless as possible and will contact you in the coming weeks with more information about access procedures. March 31 is the last day Berghahn will be hosting its journal content on IngentaConnect. Starting April 1, all Berghahn journal content will be hosted by PubFactory on the new Berghahn Online platform.